Chemicals used in this category bring out some of the usual suspects when it comes to building product contents: formaldehyde, isocyanates, heavy metals, and solvents—just to name a few. The reason for the familiarity is that the materials used to manufacture doors and windows encompass many found in other sectors. Thus, for example, wood doors can have potential formaldehyde and flame retardant issues because of an insulated core or a surface veneer treatment. Chemicals from paint could be on a door or window. Fungicides could be found on a door’s exterior. 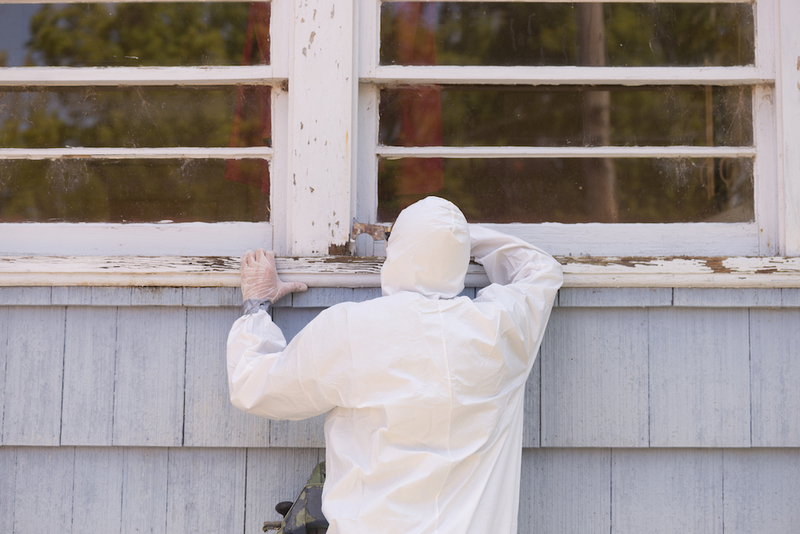 Volatile organic compounds—or VOCs—can be off gassing from adhesives used to construct windows, doors, or skylights. With windows and doors typically being made locally, products could be delivered shortly after application of these various chemicals, potentially increasing the amount of exposure. Overall, however, health complaints from the products are not as prevalent given the smaller amount of materials compared, for example, to the square footage of painted walls or installed insulation. Additionally, many windows, doors, and skylights (WDS) products in buildings are facing the exterior where ventilation takes care of the off gassing for at least that side. But even the exterior side can present a problem. So, for example, since the potential for contact with a home’s exterior door’s surface is greater, users can be exposed dermally to fungicides and other chemicals. Some users say vinyl window frames bring their own problems that can be long lasting. It is claimed that when the frames are exposed to heat and sunlight, and get very warm, the frames start to release an odor. This smell has not been identified as yet. The other area of concern is during installation. Quite often one-component spray foam is used to seal the area around a window or door opening. This spray foam is not as dangerous as the 2-component used for insulation, but still packs its own punch for off gassing isocyanates. The chart below lists some of the more frequently used chemicals in this sector’s products.